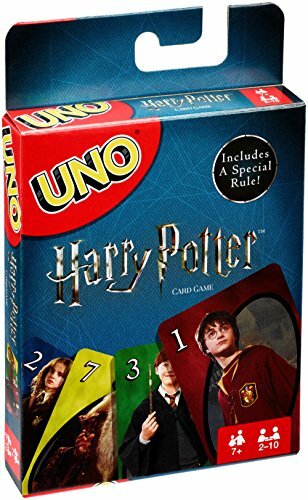 It's the fun, fast-paced card game you love now featuring iconic characters from the world of Harry Potter! 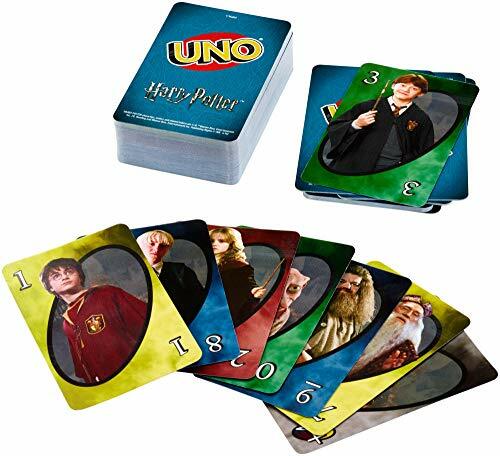 Join Harry, Hermione, Ron, Professor Dumbledore and more of your favorite characters from Hogwarts for a night of UNO gameplay. Players race to get rid of all their cards by matching a card in their hand with the current card shown on top of the deck. Score points by being the first to get rid of all the cards in your hand. Special action cards deliver game-changing moments as they each perform a function to help you defeat your opponents. There's even a special Sorting Hat Rule Card! 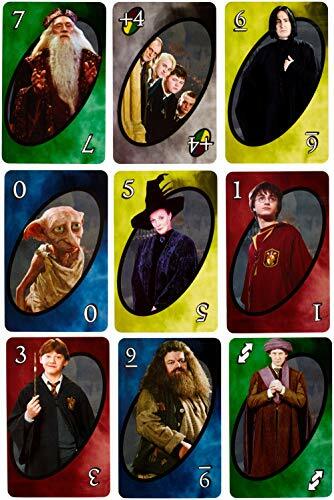 When you play this card, another player of your choice must keep drawing cards until they find a Gryffindor card! Other action cards include Skips, Reverses, Draw Twos, and Wild Cards. First player or team to 500 wins - and when you're down to one card, don't forget to yell "UNO!" a great gift for Harry Potter fans, age 7 and older. 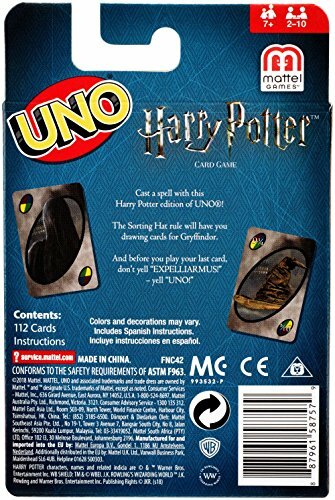 Contains 112 cards plus instructions. for 2 to 10 players, ages 7 and older. Colors and decorations may vary.